What weight loss supplements are safe? You want to lose weight—and fast. You’re willing to try almost any weight loss product promising a miracle, but will it work? And more importantly, is it safe? Looks like the Federal Trade Commission is cracking down on companies hawking weight loss products with bogus claims and here’s what’s happening right now. Products that the FTC says are making false claims include Sensa and a “slimming” body cream by L’Occitane. The FTC is also working to get consumers their money back for purchasing such products and is going to urge the companies to stop the false advertising. There are no miracle weight loss pills, no matter what those companies try to get you to believe. Buying these supplements from unscrupulous sources online without a doctor’s supervision is dangerous. 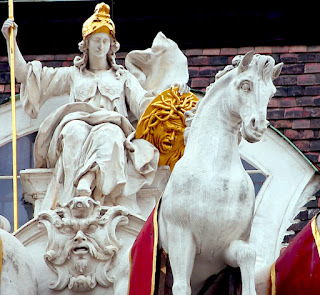 Not only do they not work—they could cause you serious harm or even death. Your best option is to work with a medical weight loss doctor who can advise you safely on what your body needs in order to lose weight. Are you Overweight? Do you want to lose weight? 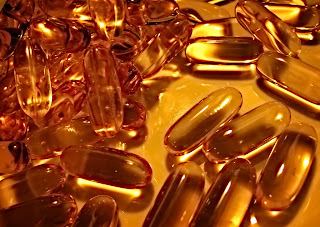 Have you discovered the fat-melting qualities of fish oil yet in your quest to lose weight? If not, don't just give it a try — make it a mainstay in your diet. Also known as Omega fatty acids, fish oil can help your health in many different ways and should be an important cornerstone of your everyday diet. Read on for more information on how you can benefit from fish oil. You need fat in order to lose weight — the good, healthy kind. This includes Omega-3 and Omega-6. We need these fats to promote our health and facilitate weight loss, but most Americans do not get enough. Sometimes a supplement is necessary to make sure you're getting a balance of these healthy fats. Results from a daily dose of Omega-3 can be seen in anywhere from a few days to several weeks, but it's no quick fix. It's important to take it every day on a long-term basis for the best results and overall health. Fish oil can improve so many aspects of your health, there are almost too many to count. Some of these include your heart, vision, joints, immune system, digestive system, pancreas, blood pressure, cholesterol, hormones, mood, energy and more. Moderate amounts of Omega-3 fatty acids in your diet have shown to reduce your risk of a first heart attack by 30%. Symptoms in such inflammatory diseases as rheumatoid arthritis and Crohn's disease are also decreased. Bariatric (Weight Loss) Doctors have received an extensive continuing medical education program consisting of specialized knowledge, tools and techniques to enable them to design and modify specialized obesity treatment programs adapted to the various needs of individual patients. A key distinction of physician-supervised medical weight loss is the addressing of overall health, since weight gain may be allied with conditions such as type 2 diabetes and hypertension and other maladies. A bariatric physician is trained to diagnose and manage obesity-related conditions, which otherwise could remain undetected and untreated by a non-medical weight-loss program. Dr. +Oksana Aron is an internal physician and bariatrician in Brooklyn, New York. Her WeightLossNYC (+Dr Aron Medical Weight Loss Center) practice treats obese and overweight patients in the greater New York area. 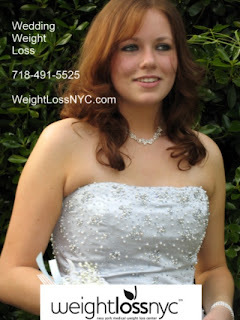 Visit WeightLossNYC.com for more information about medical weight loss programs, or call 718-491-5525 to schedule an appointment. If the number on the scale isn't budging as much as you'd like, there's still some good news. New research shows that even modest weight loss can have a long-term positive effect on your overall health. By losing 20 pounds or 10 percent of a 200-pound person's body weight, overweight and obese individuals can reduce their risk of Type 2 diabetes by as much as 58 percent. It can also benefit sleep apnea, hypertension, quality of life and mobility as people age. Additionally, the health benefits from losing the weight can last up to about 10 years, even if the individual gains the weight back, according to the behavioral study on 3,000 participants who changed their eating habits by tracking everything they ate and keeping unhealthy foods out of the pantry. Researchers will also examine whether these healthy habits will decrease the risk of heart attacks and heart disease, and ultimately, whether it can prolong your life. The time to start losing weight is now. It's never too late to become a healthier you. Call WeightLossNYC at 718-491-5525 to schedule your appointment. Burn an extra 300 extra calories a day to lose weight? It may sound like a daunting number, but it's easier than you think. Whether you're exercise-averse or simply don't have much time, you can burn calories by doing everyday activities. After 12 days of trying this, you may even lose an extra pound. Here's how to do it. Some examples of simple ways to burn extra calories when you're not sleeping or eating include walking, riding a bike as transportation, typing at the computer, and doing housework or yard work. Burning up extra calories via these activities can increase your metabolic rate. Do it every day and it can make a major difference at the scale. 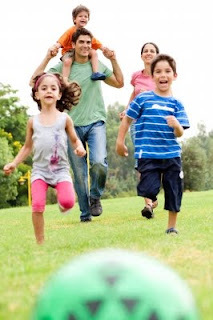 Staying active is important for losing weight and remaining in good health. Walk instead of driving. Go swimming with the kids instead of popping in a DVD. Go on hiking or biking trips as recreation. It can involve regular cardiovascular exercise, but it can also include getting up and moving around as much as possible throughout the day. It's really as simple as that. Give it a try for a few weeks and see some results. 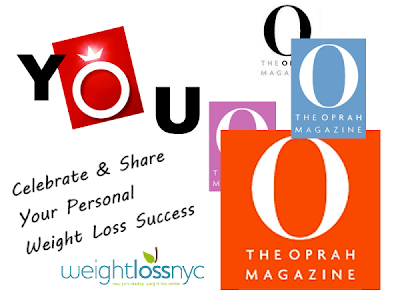 Star your healthier lifestyle today by calling WeightLossNYC at 718-491-5525. Healthy Weight Loss? Weight Loss for your Health! A recent study found that healthy, nonsmoking white adults whose body mass index (BMI) indicated they were overweight had a 13% greater risk of death than those with a normal BMI. Obese subjects faced an increased risk ranging from 44% to 88%. BMI is one measure of height and weight used to determine overweight or obesity. Overweight begins at a BMI measurement of 25, obese at 30 and morbid obesity at 40. Two-thirds of U.S. adults are either overweight or obese. A 5-foot 6-inch person is considered overweight at 155 pounds, obese at 186 pounds and morbidly obese at 248 pounds. The study’s conclusions, published in late 2010 in the New England Journal of Medicine, are similar to those of three other large studies. The body of evidence supporting the finding that being even slightly overweight is associated with an increased risk of death is continuing to grow. It debunks the notion that a “few extra pounds” might actually be good for one’s health. The government–funded study analyzed 19 long term studies using each person’s BMI and checked to see who died during a five to 28 year follow up period. The researchers focused on people who were healthy at the study’s start, who were nonsmokers and did not have heart disease or cancer. The results were similar for women and men. Evidence suggests that for the same BMI level, African-Americans may have a lower risk of death and Asians a higher risk. Further research is needed to confirm this. 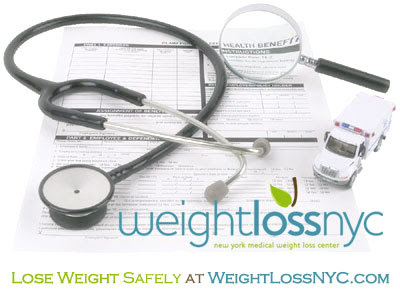 Call Weight Loss NYC at 718-491-5525 to learn about medical weight loss plans or to schedule an appointment today.